The trend of vaping was overwhelmingly obnoxious for several years and changed the way many people approached their terrible habit of smoking. Often advertised as a healthier alternative to smoking, vaping quickly gained enormous popularity amongst heavy tobacco smokers and even people who have never fancied the idea of inhaling something for recreational purposes. Vaping became a sort of cultural phenomenon overnight and we never saw it coming. There is no denying that inhaling aromatic vapors is much better than clogging your lungs with sticky pitch and poisoning your body with massive dosages of nicotine. However, specialists become less and less complacent about the increasing popularized usage of electronic cigarettes as new researches indicate that this hobby is far from being risk free. It is a quite dangerous activity in fact and may cause concerning issues with lungs with one of the most dangerous being the one with a joyful name “Popcorn lungs”. While we make fun of the name, this disease is certainly not a joke and should be getting the spotlight much more often than anything else. Amongst scientists, this disease is called more appropriately – Bronchiolitis Obliterans or shortly BO. The condition is characterized with destructive wounds in bronchioles caused mostly by inhaling chemicals and aggressive toxins. It is a slowly developing disease that could go on for years unnoticed. A person with this disease in its early stages could be bothered with light cough or itching in throat from time to time. Minor symptoms do not alarm patients and they do not really ask for medical care. On top of that, medics do not have proper 100% certain diagnostic procedures to identify the condition immediately. The only sure way to diagnose the condition is by a direct biopsy of the tissue from bronchioles. After a thorough inspection from a qualified specialist, the disease is discovered and the prospects of the patient are darker than one could imagine. BO is a terrible condition to have mostly due to the fact that there is simply no cure. Treating this condition without a transplant is impossible and symptoms may severely reduce one’s quality of life. In later stages, breathing becomes a serious problem and constant coughing is just devastating as no standard medicines against coughing stop working. The late stage of the disease is truly horrifying. Constant struggles with the most basic activities throughout the day make it harder to stay positive while waiting patiently for your ready-to-transplant lung from a donor. This condition has been on the rise over the course of last decades and e-cigarettes could be a reason why we are seeing such an increase of cases of BO. 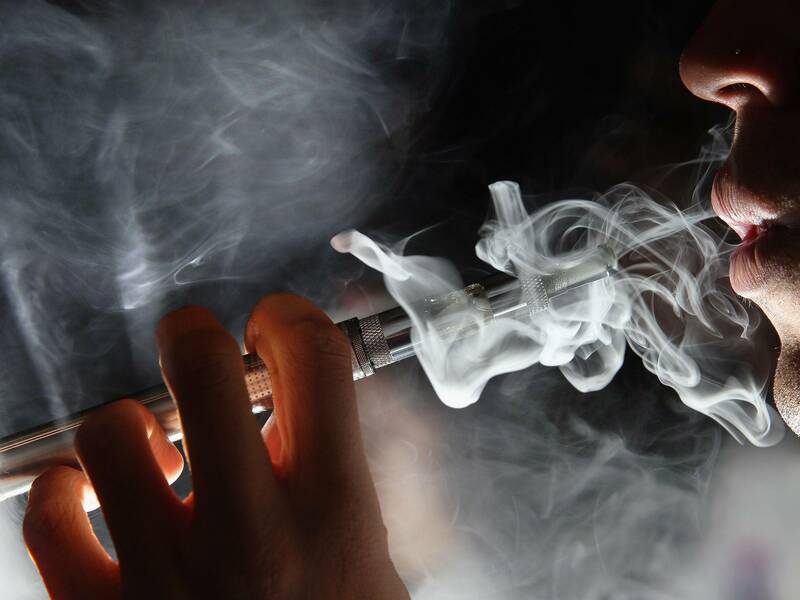 As more and more researchers start exploring the relation of vaping to bronchiolitis obliterans, we are learning that the connection is quite possibly more apparent than we thought previously. One of the biggest reasons causing the disease is diacetyl as suggested by the brightest minds who are profound in medicine. Diacetyl (about this organic compound: https://en.wikipedia.org/wiki/Diacetyl) is a commonly used aromatic agent that can be found in thousands of products across multiple industries including pharmaceutical and food industries. While consuming this flavoring agent is not dangerous in smaller quantities as it is not harmful for the body when processed by liver and stomach, inhaling large quantities of the chemical can be destructive and “obliterate” your bronchioles quickly. Diacetyl has been around for several decades and many scientists studied it closely to learn about its possible effects on humanity in general. The general consensus is that its usage in food and pharmaceutics is more than justified. This is not a scary carcinogen and usually passes through human metabolism without causing problems. Nonetheless, its effect is much more noticeable in people who are inhaling it on a regular basis. Even the fiercest protectors of vaping were aware that the habit is not healthy and possess some dangers to people. The idea behind the whole movement was that vaping is generally safer than smoking which sounded quite logical at the time. However, recent studies disprove this idea and suggest that without proper regulations and control over the chemicals that go inside e-cigarettes, vaping may become even more dangerous and harmful. Sadly, such regulations do not exist at the time. If you think that we know about dangers of the chemical only from recent studies, you are wrong. The very name of the disease Popcorn lung comes from the rich history of this flavoring agent that was once used primarily in flavoring popcorn for microwaves. Chemicals were released by heating the meal and often caused minor symptoms of the disease. For many workers who inhaled it regularly in larger quantities this chemical became fatal. Over three decades ago we found first signs of this problem: diacetyl is very dangerous for our lungs. The real issue with this is that many modern e-cigarette manufacturers put a lot of diacetyl in their products since many simply do not know about consequences of using it. Others know but prefer to use this cheap flavoring agent anyway. Vaping is a relatively fresh trend and many countries don’t have any regulations regarding the product allowing massive amounts of toxic cartridges for e-cigarettes flood their markets and poison their citizens. Sadly, we cannot do much about it. Obviously, we must start knocking on the doors of our senators and representatives to make them approach the issue and force various institutions to create stricter regulations and invest more in researching which flavoring agents are safe for inhaling. Regulations must be in place since the industry of e-cigarettes is here to stay and there is nothing we can do about it. Another important thing that you must do is not vape. This sounds silly to recommend something like this just as it sounds silly to say “don’t smoke” to smokers who spent their whole lives inhaling dark tobacco smoke with nicotine vapors in it. Imprinted behavioral patterns picked up by smokers and vapers are just as impactful as actual addiction to nicotine. The body and brain do not really need nicotine and don’t receive the “real” kick from it. Many smokers struggle to quit due to psychological addiction. We do understand it. The only thing that can make the market less flooded by bad chemicals, however, is low sales. If customers start protesting and vote with their wallets by opting for cartridges that have contents and feature no diacetyl in them, companies will start distancing from unwanted chemical. Be social, share this article, and talk to your close ones about this dangerous compound that can inflict irreversible damage to your lungs. One of the biggest concerns of specialists is that over 70% of all products that are currently featured in world markets contain diacetyl and some of them solely this chemical as flavoring agent. This is a huge problem with enormous scale. Despite this massively shocking news, many vapers do not know about what they are inhaling and how chemicals destroy their lives and lungs. Smoking is very dangerous and can be incredibly devastating especially in the long term. However, vaping is even quicker and concerning damage to your lungs can be inflicted within 30 minutes which is a terrifying prospect. One of the recent researches with a relatively small sample size but convincing results was conducted in 2016. Half a hundred of randomly selected individuals from two groups of people with and without asthma were tested for the amount of NO exhaled after using an e-Cigarette. Nitric oxide is often released when tissues are inflamed. When lung tissues are inflamed, NO is removed immediately with exhaled vapors. Both groups exhaled high amounts of NO after vaping. The research group concluded that e-cigarettes inflict immediate damage and force inflammatory response from the body. These devices obviously caused more harm in people with asthma and immediately damaged even healthy tissues. There are other impressive research studies that show that e-cigarettes are just as dangerous as smoking tobacco. At the same time, we are just substituting bad for worse when it comes to these two habits. Recent studies in the UK found that over 42% of former smokers decided to stop using tobacco after picking up vaping. 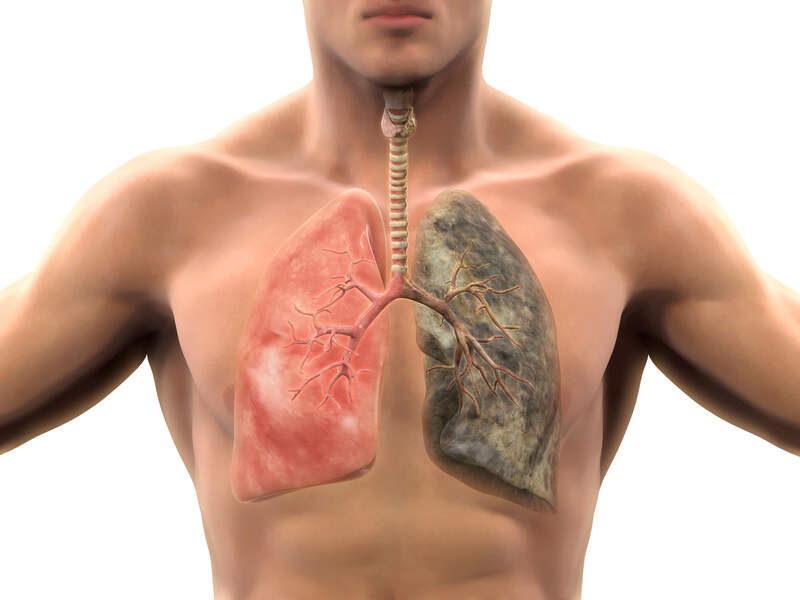 At the same time, some smokers continue to use both tobacco and e-cigarettes causing even more damage to their lungs. One of the most concerning issues with this is that vaping is terrible for lungs both in the short and in the long run, but the irreversible damage will significantly lower the quality of life later on meaning that protecting children and young adults from both tobacco and vaping is extremely important. However, the freedom of advertising and aggressive marketing targeting young adults and teenagers made the product especially appealing to the new generation. Vaping is strengthening the activity that we identify as smoking: hand-to-mouth movement with inhaling something. This is a really bad habit to pick up. Together with actual addiction to nicotine, this makes it a very strong habit that is not that easy to break especially when it comes to younger people. There is no doubt left that e-cigarettes are destructive and inflict heavy irreversible damage to your body. The organism is not a junkyard and should not be treated as one. Stay away from dangerous chemicals and purchase only diacetyl-free cartridges if you are a vaper.